ICF Continuing Coach Education – Resource Development (36 hours) are rewarded upon completion of Level I & II training, as well as completion of a one-on-one Harrison Assessments’ Competency Demonstration scheduled within a month of Level II training. Click here to see how the HA Whole Life Profile helps you take your clients to their next level Whole Life Fitness! Earn Certification as Harrison Assessments’ Debriefer & International Coaching Federation 35 credits for completion of Level I & II training with final proficiency demonstration. 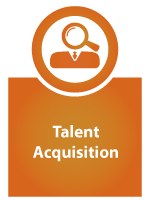 16 Minute Video — The business case for Harrison Assessments Solutions across the talent cycle. 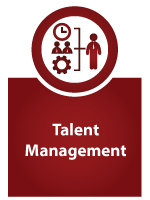 Harrison Assessments is now more effective than ever with new capabilities in the area of high priority to almost all organizations – integrated talent management. Harrison behavioral assessment is ideal for the full cycle of talent management: recruiting, onboarding, mentoring/coaching, leadership development, team development and succession/career planning. Certification covers the full range of Harrison Assessments behavioral reports. The goal of certification is to ensure that HR, TM and OD professionals and coaches are confident in utilizing Harrison Assessments to achieve their talent goals. Sessions are designed to help you understand the theories, concepts, and information essential to applying Harrison Assessments successfully. Advance your professional competencies with Harrison Assessments Certification. Sheryl Dawson, CEO Dawson Consulting Group and Certified Harrison Assessments Solutions Partner with over 25 years’ experience in talent management and over 16 years’ experience with Harrison Assessments. For Additional information and to arrange Harrison Assessments Certification: Fill Out the Form Below to Contact Harrison Assessments Solutions Partner Sheryl Dawson today! 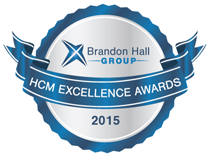 Sr. VP, Global Human Resources & Workforce Development Universal Weather & Aviation, Inc.
Harrison Assessments is the 2015 recipient of two prestigious Brandon Hall Group HCM Excellence Awards in the categories of Candidate Assessment Technology and Succession Planning. With more than 10,000 clients globally and 20 years of delivering world class research and advisory services, Brandon Hall Group is the most well-known and established research organization in the performance improvement industry. Their awards program attracts entrants from around the world - including solution providers with innovative, cutting-edge technologies. The awards recognize the best organizations that have successfully deployed HCM systems and tools with measurable results.